Excellent review of an intimate David J (ex-Bauhaus) gig, the result of a $3000 dollar pledge to help fund his most recent LP “An Eclipse of Ships” – which is very good indeed. In the video he pays a cracking version of Love & Rockets’ “No New Tale To Tell”. All in all it sounds like money well spent. 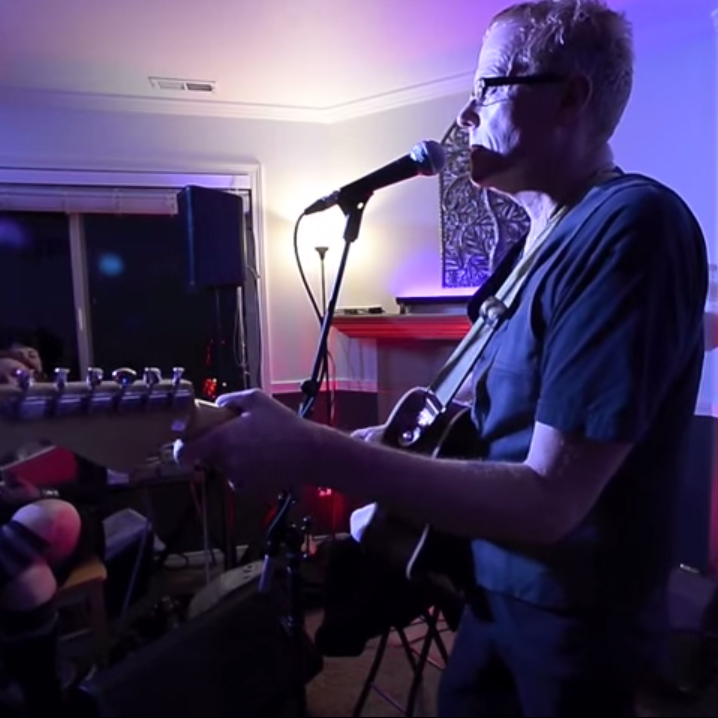 From Bauhaus to a Utah County house partyMusic » David J, of Bauhaus and Love and Rockets fame, performs for a longtime fan and his friends in Springville. “In that very instant I knew I had to do it. I knew I could get the money together,” Jones said. So he pledged $3,000 and suddenly needed a place big enough to throw a party. David J, best known as the bass player for Bauhaus and Love and Rockets, was coming to Springville to play a private show for Jones and his friends. “It was surreal. It was one of those once-in-a-lifetime things that you could never imagine happening, but there it was. Happening,” Jones said. When Jones first explained what the party would entail, Stringham said he wasn’t sure what to think. “I thought that he might have been joking. But in today’s world, there is a slight possibility that he’s not lying. When I realized he wasn’t joking, I got excited and nervous,” Stringham said. And why wouldn’t he be nervous? He had been a fan of the guy’s music since he was in high school, and as a kid who went to Timpview High in Provo, in the late ’80s, being a Bauhaus fan kind of made you stick out from your peers a bit. What with the gothiness and the black clothes and everything. “We were outcasts and kind of picked on by the jocks,” Stringham said. Even the idea of seeing either of David J’s bands seemed strange. That sort of thing just didn’t happen in Utah County in the ’80s.But now it was happening, and not only was it happening, it was happening at Stringham’s house.”This is the place where I come to be with people I love. This isn’t the place where I think of rock stars being. This is where I play Playstation and watch Netflix,” Stringham said. Finally it was May 23. The friends had arrived. There were plates of cookies and vegetables set out in the kitchen. There were coolers full of soda — all the normal things a family would set out when they’re having company over for a party. There was a stool with a microphone set up in front of the fireplace. Stringham and Jones had their instruments set up, too. They have a band together. They call themselves Intra-Venus and the Cosmonauts. They ran through a quick set while the kids played in the front yard. Then David J came into the room, picked up his guitar and played for about an hour.”It was an unbelievably magical moment that I never could have comprehended,” Jones said.After the set, many people were asking aloud if it had really just happened. But there was David J, in the living room, signing autographs and telling funny stories. “I love doing those in-house shows,” David J said. “It is so refreshing to play in an intimate setting for the true music fans, cutting out the often-seedy middleman. In fact, I want to play a lot more of these gigs in the future. It really feels like the right way to go.”The guests started to file out. It was getting late and people had to get their kids home and put them to bed. The air was cool and smelled of cattle from the fields near the house. via Photos and video: From Bauhaus to a Utah County house party | The Salt Lake Tribune.